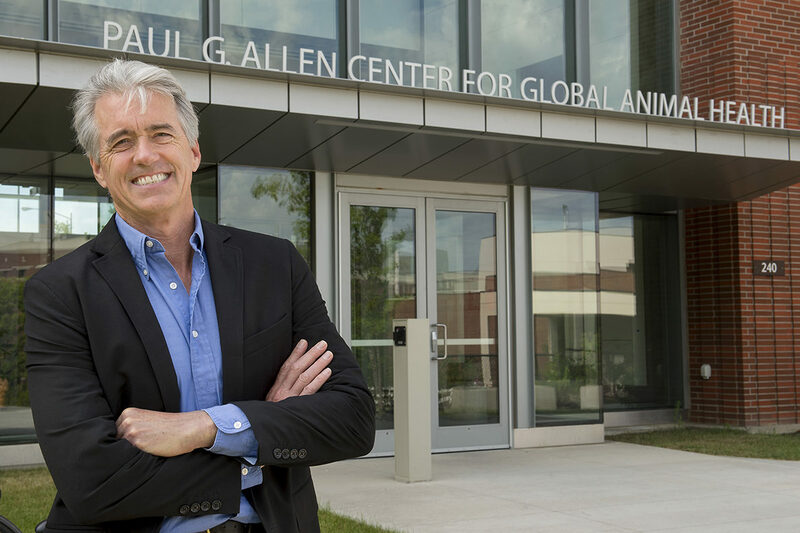 Selected by a committee of peers, the honor designates Palmer as the outstanding veterinary medical researcher of the year. The association’s Board of Directors established the annual research award in 2010 to recognize outstanding research and scholarly achievements in the field of veterinary medicine. It recognizes an individual who, over the course of his or her career, has demonstrated excellence in original research, leadership in the scientific community, and mentoring of trainees and colleagues in any discipline of veterinary medicine. Palmer is WSU’s regents professor of Pathology and Infectious Diseases and the Jan and Jack Creighton Endowed Chair in Global Health. His research has led to discoveries related to pathogen emergence and spread, including insight into how pathogens evade the immune system. His work aims to reduce the impact of zoonotic diseases on human health, economic development, and food security using a One Health approach. He leads global health programs in Africa and Central America. He directed the National Institutes of Health Training Program in Infectious Diseases from 2003–2018 and currently holds a NIH MERIT award for research on pathogen emergence. He holds joint appointments at the University of Nairobi and at the Nelson Mandela African Institution of Science and Technology (NMAIST), where he directs the Bill & Melinda Gates Foundation‑supported Integrated PhD Program between WSU and NMAIST. Palmer was elected to the National Academy of Medicine in 2006. His service includes the Board on Global Health at the National Academies, the Board of Scientific Counselors, and the U.S. Global Leadership Coalition. He received his bachelors and Doctor of Veterinary Medicine (DVM) degrees from Kansas State University and a PhD in infectious diseases from Washington State University. Palmer’s award will be officially presented during the AAVMC’s 2019 Annual Conference and Iverson Bell Symposium, March 8–10, 2019 at the Hyatt Regency Washington on Capitol Hill in Washington, D.C., where he will also address attendees.